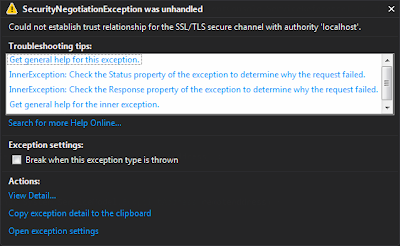 When hosting a service in IIS using Transport security and Basic credentials are required, it is IIS that resolves the basic credentials not the service. But the service config is still set to SecurityMode Transport with client credential type Basic. 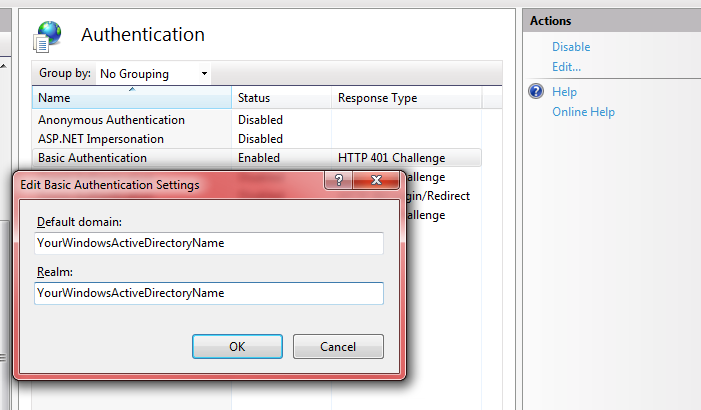 Basic auth must be configured and required by IIS config. See here. If anonymous access is still allowed then the credentials will be ignored. (At least I couldn't make it work when anonymous was allowed as well). When self hosting this scenario, it must be the service that resolves the credentials. 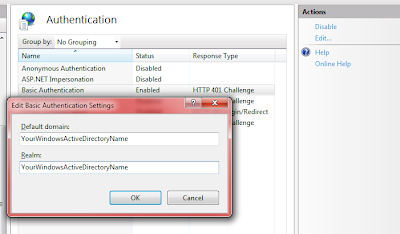 This post only applies to IIS. If you omit or set the clientCredentialType to None, you will get this exception. The SOAP message that is sent to the service from the client does not contain the credentials, this is distinctly different to using Username credentials in the previous post. The credentials in this case are in the HTTP headers. Using Fiddler you can see the credentials being passed. These credentials are only encoded using Base64 they are NOT encrypted and can easily be reversed back to their username and password text values.This is why SSL is crucial with Basic credentials. 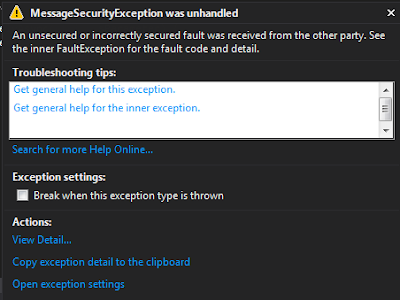 To fix it you'll need to add an event handler to change the default service certificate validation on the client. THIS IS DEFINITELY NOT RECOMMENDED IN PRODUCTION CODE! It basically tells the client to ignore all certificate problems. But when using self-signed certs in dev, it is useful. // Ignore any certificate errors - results from using self-signed certs. This is the expected response you'll get when the username or password is incorrect. This is very misleading, because if you search for this, you'll get a great deal of solutions talking about differences in service and client clocks.